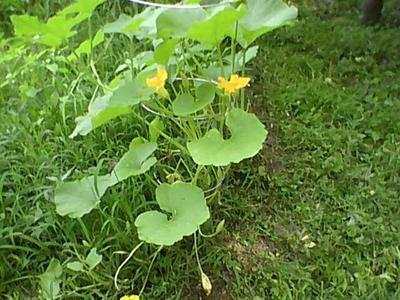 I have been gone for three weeks and the weeds have almost over taken the garden, first I tried the weed eater but i cut too many plants. Then I started pulling the weeds by hand and after two days only finished one quarter of the garden. Any suggestion on how to get rid of the weeds? No chemicals used in this garden. Perhaps a layer of mulch would do the trick . Not worked in the garden just layered on top of the weeds . It is now late in growing season where you are, so your crops (looking at your photo) will most likely have grown over the weeds anyway. Just try and stop any weeds going to seed and spreading around. The mulch idea is good too, even if it's a layer of anything handy, sawdust, grass clippings and suchlike. It all helps slow the weeds down in and around your good plants. As you harvest your veg, do the no dig method as in this amazing website and cover the ground with layers ready for your next season's crops. I like seeing photos with these Q and A, well done. Joe.